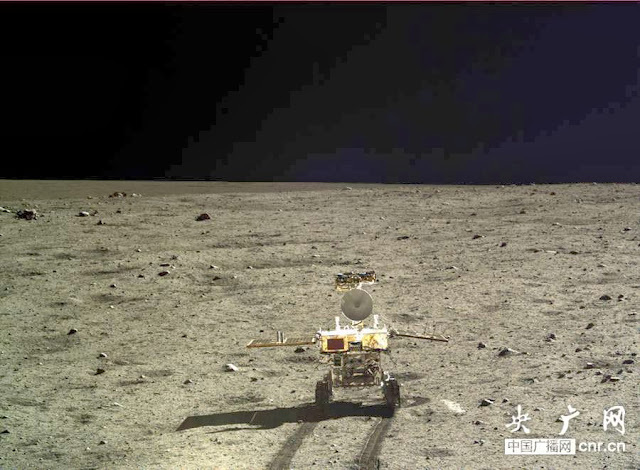 The sun is just about to set where Chang'e 3 is located on the moon, which will mean sleep for the next 14 days. Up to now the mission has been entirely successful, though of course there has been a lot of instrument testing and whatnot which takes up a certain amount of time, meaning the total amount driven so far is just 30 metres in a semi-circle around the lander. I am pleased to see that this mission is having the desired effect, a certain quickening of the pulse in other parts of the world such as the US. The (in)famous Congressman Wolf has penned a letter, calling for the US to develop plans to visit the moon. I say visit and not return, because a full two generations have passed since the US did anything on the surface there. "But we have a rover on Mars the size of a car!" retorts many a comment on Facebook and Reddit and elsewhere. Yes, the US does have a rover on Mars the size of a car. It also has a probe on the way to Ceres, Pluto, one around Saturn, and so on, and we are greatful for all of them. Especially the one on the way to Ceres. But there is a huge difference between robot-only exploration and robotic-possibly-soon-leading-to-human exploration, and the moon is the latter. Mars is thought of as being the latter, but issues such as landing and radiation protection on the way there and back still haven't even been addressed. Current plans for the US are to have a flyby in the mid-2030s instead of lunar exploration, and it is obvious that this will not actually happen - there is no way NASA is going to sit by (or rather be told to sit by) as China, Japan and whoever else begin exploring NASA's previous stomping grounds in missions that take only about a week to arrive. The bright spot here with the above-mentioned quickening pulse is the possibility of an increased budget. NASA does everything it does with about $17 million a year, which is a frightfully small number compared to the budget overall, and countries such as Canada also do not pull their own weight, investing just a fraction per capita in their space agencies. Canada could, for example, easily triple the CSA's budget and hardly notice a difference, especially after 2015 when it expects to return to a surplus of $3.7 billion. A tripling of the CSA's budget would bring that to slightly below $3 billion. In other words, there is nothing written in stone saying that NASA will always have to run on a budget under $20 billion. If Congress dictates a significant budget increase, there is no reason NASA wouldn't be able to do all the things it is doing now, and more. In the meantime though the single interesting development is watching Chang'e 3 roll around the moon and the reaction to it. 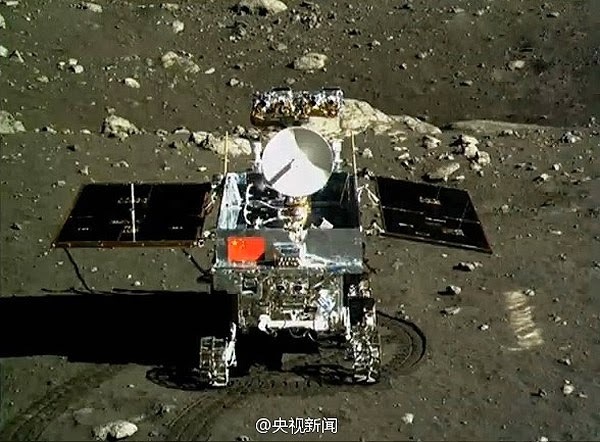 And Chang'e 4, originally a Chang'e 3 backup, which will receive some changes before it is launched thanks to the success of 3.